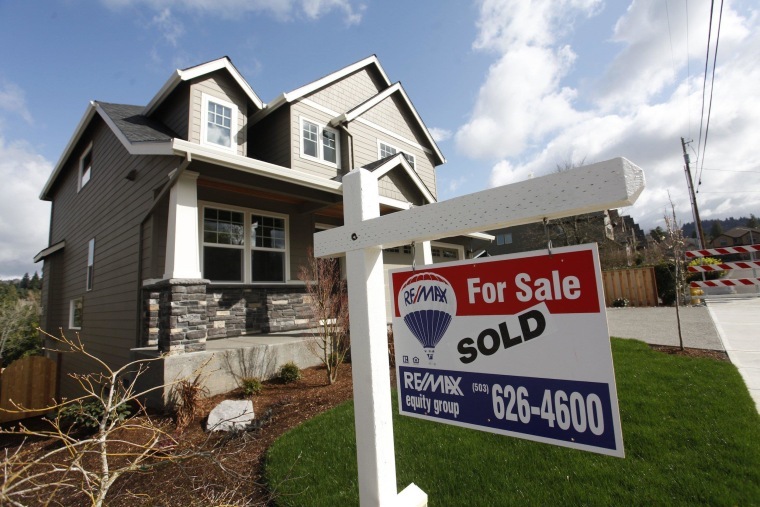 WASHINGTON -- Average long-term U.S. mortgage rates crossed the 4 percent mark this week, a slight increase in the wake of the Federal Reserve decision this month to hike a key short-term interest rate. Mortgage buyer Freddie Mac said Thursday that the average rate on a 30-year fixed-rate mortgage rose to 4.01 percent from 3.96 percent a week earlier. That rate has risen from its 3.87 percent average a year ago and has been steadily increasing since late October. Still, borrowing costs are well below historic average of 6 percent 30-year mortgage rates. The average rate on 15-year fixed-rate mortgages increased to 3.24 percent from 3.22 percent. Low mortgage rates and steady hiring gains have bolstered home sales for much of 2015. Sales of existing homes are slated to rise about 5 percent this year to 5.25 million, according to the National Association of Realtors. The cheaper borrowing costs have offset some of the affordability problems caused this year by home values appreciating by 6 percent to a median of $220,700, more than double the increase in average hourly earnings. More buyers have streamed into the market as unemployment has dropped this year to 5 percent from 5.7 percent in January. Economists say that the slight increase in mortgage rates is unlikely to squelch sales. The Fed agreed this month to raise its federal funds rate — what banks charge each other to lend overnight — from a historic low of near-zero that was set in late 2008, as the U.S. economy sank amid a financial and housing meltdown. The rate will now be in the range of 0.25 percent to 0.5 percent. But the Fed has an indirect effect on long-term mortgage rates, which more closely track the yield on the 10-year U.S. Treasury. And that yield, in turn, tends to stay down as long as inflation remains low and investors keep buying Treasurys.